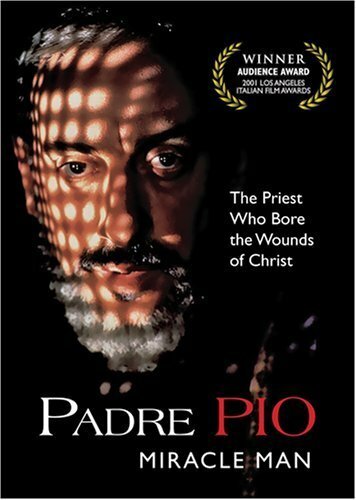 Padre Pio: Miracle Man is a dramatic film on the life of the famous stigmatic monk, and saint. This major feature film drama captures the Capuchin friar’s intense faith and devotion, and deep spiritual concern for others, as well as his great compassion for the sick and suffering. It dramatizes the frequent attacks of the Devil on him, as well as the persecution he suffered at the hands of people, including those in the Church. The many miracles that he performed are also highlighted, as well as his deep humility, charity and sense of humor. Starring Italian actor Sergio Castellitto, and directed by Carlo Carlei, this is an outstanding feature film on the amazing life of this great saint. Italian with English subtitles, or English or Spanish dubbed track, and includes special sixteen-page collectible booklet.